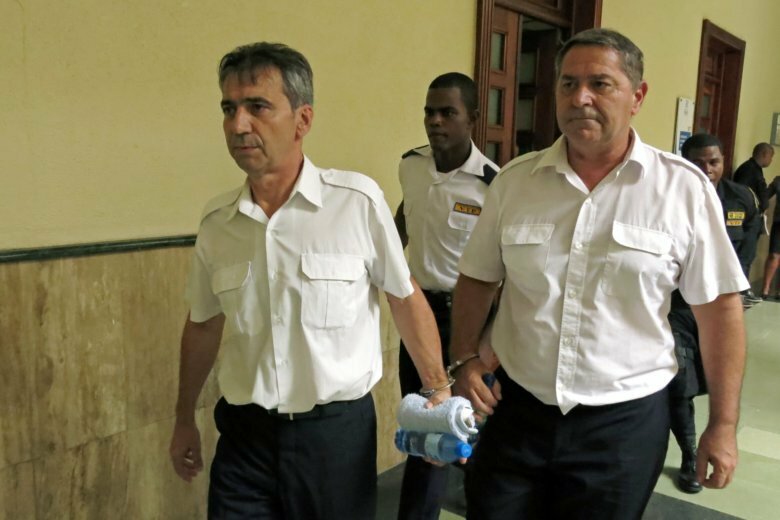 PARIS (AP) — Two French pilots who made a mysterious escape from the Dominican Republic in 2015 are going on trial in southern France accused of international cocaine trafficking. Pascal Jean Fauret and Bruno Odos are among nine defendants in a trial beginning Monday in Aix-en-Provence. The circumstances of their escape to avoid 20-year prison sentences in the Dominican Republic, with the help of a French far-right member of the European Parliament and a renowned aviation expert, remain unclear. French media say they sailed to the French Caribbean island of Saint Martin. The French government denied any involvement in the escape. The two men were initially arrested in 2013 in a Dominican Republic airport. Authorities said the plane they were piloting was carrying 26 suitcases of cocaine. They have denied wrongdoing.